Frontier First Encounters (FFE) is the sequel to Frontier, Elite 2, which, in turn, was the sequel to Elite. 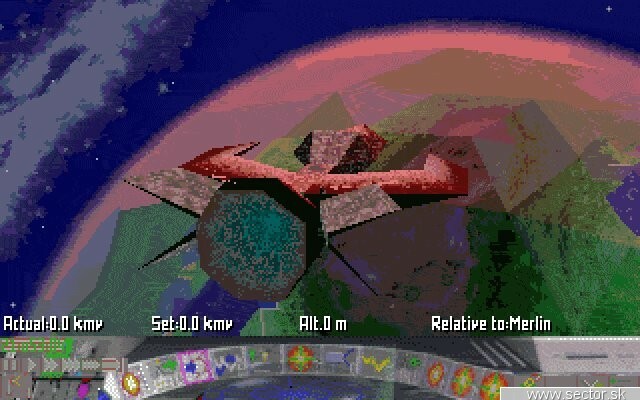 Elite, for those of you don't know, is a game which had a somewhat large following at one point in time. It was the DOOM of its day, you might say, except it was a little more, uhm, intelligent ?